The City of Takoma Park operates four primary public facilities that offer a wide range of amenities, activities and community space. Takoma Park’s facilities also contain a number of innovative features geared towards sustainability. Visit the individual pages below for more details. The Piney Branch Public Pool is attached to Piney Branch Elementary School and is operated by the Adventist Community Services of Greater Washington in conjunction with Montgomery County Recreation. The City of Takoma Park’s buildings and offices close on most federal holidays. Routine closure info is posted on this website, our primary social media accounts (Twitter & Facebook) and is sent out in advance in City publications. Facilities may also close due to inclement weather. We encourage signing up for Takoma Park Alert to get the latest updates or call the Recreation Department’s Inclement Weather Line at 301-891-7101 ext. 5605 to check for building closures. 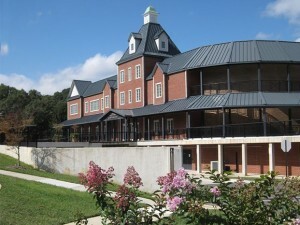 The Takoma Park Community Center – Sam Abbot Citizens’ Center serves as the hub of civic life in Takoma Park. The building houses the majority of municipal government offices, community center and serves as a vibrant community space. 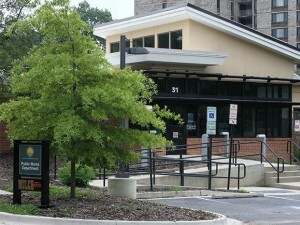 The Takoma Park Police Department is located on the first floor of the Community Center and the Takoma Park Maryland Library is attached. Visit the Takoma Park Community Center – Sam Abbott Citizens’ Center page for more info. Heffner Park Community Center is located at 42 Oswego Avenue. The Heffner Park Community Center (adjacent to Heffner Park) features a small kitchenette, multi-purpose room and is available for rental. Heffner also hosts Recreation Department classes. Visit the Heffner Park Community Center page for more info. 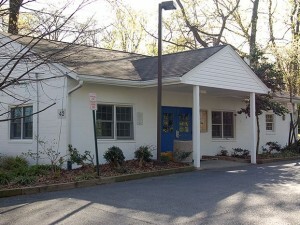 The Takoma Park Recreation Center is located at 7315 New Hampshire Avenue. Get fit with us at the Takoma Park Recreation Center! The building features a gymnasium and fitness room and a wide variety of Recreation Department classes are held at the Recreation Center. 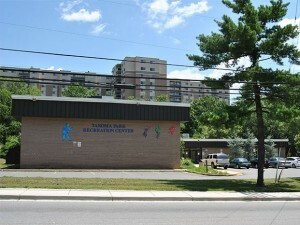 The Takoma Park Recreation Center also operates as a community space with two small meeting rooms available for rent and hosts clubs, camps, special events, workshops and drop-in programs throughout the year. Visit the Takoma Park Recreation Center page for more info. The Public Works Facility is located at 31 Oswego Avenue. The Public Works Facility is home to Takoma Park’s Public Works department. The building, renovated in 2011, is a LEED Silver Administrative office, features solar panels, a geothermal HVAC system and a grey water system. Many amenities are available on-site at Public Works including drop off electronics recycling and mulch pick-up. Annual events like Household Hazardous Waste Drop-off Day are also held at Public Works. Visit the Public Works section of the website for more information.